Tractor Trailer Crash Attorney in St Louis. When a truck driver dismisses the rules of the road, their actions can cause devastating injuries. Burger Law is a personal injury law firm that specializes in a full range of truck accidents including tractor trailer crashes in St Louis and the surrounding areas. If you’ve fallen victim to a tractor trailer crash, allow Gary Burger and his associates to maximize compensation to recover for lost wages, medical care, and pain and suffering. Commercial trucking companies and their insurance companies will attempt to get you to settle for less leaving victims with serious injuries and not enough funds to cover financial and medical damages. Burger Law takes the necessary steps to protect you from insurers who will take advantage of your situation by implementing a proactive investigation and aggressive litigation approach. The tractor trailer crash lawyers at Burger Law have extensive knowledge in State, and Federal laws and federal regulations that truck drivers and their employers must abide by. When we represent victims of tractor trailer accidents, we resolutely investigate, collect evidence, and question witnesses to ensure we build the strongest case for your claim. 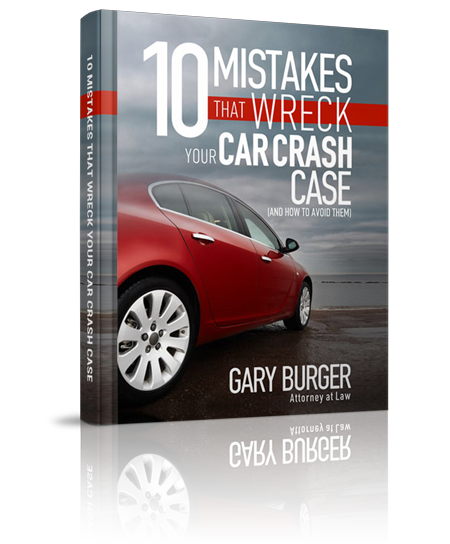 Regardless of whether the crash was caused by distracted driving, driver fatigue, an under-maintenanced vehicle, driving under the influence, speeding, or anything in between, you can trust that Gary Burger and his associates have the experience to assist you in fully recovering. The attorneys at Burger Law are committed to providing the absolute best in support, service, and guidance; we will work with your employers, insurance company, and medical providers to ensure your well taken care of while you case gets the attention it deserves. To get started on your free case evaluation, contact Burger Law at (314) 542-2222 or complete our online contact form. The tractor trailer crash lawyers at Burger Law offer legal services throughout the Greater Missouri and Illinois region. If you’d like to learn more about our tractor trailer settlements, common tractor trailer accidents, or anything in between, contact the Burger Law firm today. We look forward to providing you with the highest quality of advice, support, and litigation. Our Truck Trailer Crash Lawyers are dedicated to providing the victims of tractor trailer crashes with expert legal advice and counseling. If you’ve been in a tractor trailer crash and believe that your accident may fall under another category, please choose from the below.